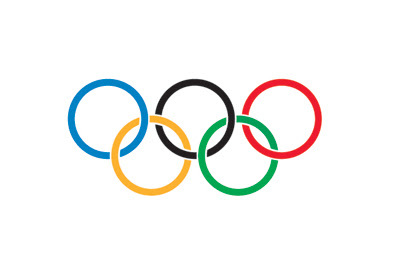 As the countdown to the upcoming London 2012 Summer Olympics continues, I will reminisce on favorite Olympic sport and Olympians. The one that tops my list is swimming. Why? Because it is the sexiest Olympic sport. There is no other justification needed. All those muscles combined can surely cure any form of depression. I'll just let you make your own captions of the photo of Popov above. I can't breathe. I'll just concentrate on his career stats. So, as one of the most heavily medaled swimmers in the world, Popov (a.k.a. The Czar of Sprint Freestyle) won 31 gold medals, 12 silver medals, 5 bronze medals from every major swimming competitions. He held the the world record for the men's 50m freestyle for so many years until it was broken by Eamon Sullivan in 2008. In addition to all that greatness, he also has an incredible smile and humility that is truly revere-worthy. Blessed with the looks of a greek god, Matt Biondi won a total of 11 Olympic medals. He swam in three Olympic games. He is the second person to win seven medals in one Olympic game (Seoul). He was also the most decorated athlete of the Seoul Games. What I like best about Matt Biondi is his heart of gold. He has worked with the Special Olympics, Make-A-Wish Foundation, and Missing Children's Foundation to name a few. Now that, is a true winner! Jenny Thompson competed in four Olympic Games acquiring 8 gold medals. She also won 12 gold World Championship medals. Those ripped arms were extremely helpful even after she was long done with her swimming career. She was reportedly assaulted in 2010 by two men who attempted to steal her Vespa. She was able to fight off both of her attackers. Awoo! Awoo! Awoo! Ladies, I'm gonna give you time to curse the universe to oblivion. Are those abs insured? Anyhoo, Torres is the only US swimmer to compete in five Olympic games! She won a total of 12 Olympic medals. She is the first woman to win six gold medals in a single Olympic Game (Seoul 1988). Kristin Otto is one of those athletes with the an inspiring story. She was advised to give up swimming back in 1984 due to a cracked vertebrae. She underwent a dense rehabilitation process and came out a true winner. Solid determination pays really well. Swimming's golden boy is undoubtedly Michael Phelps. He has surpassed all that was expected of him as an athlete and appropriated to himself a total of 16 Olympic medals! Famous for winning 8 gold medals in a single Olympic competition, surpassing the record that Mark Spitz held for more than 36 years. Aside from his excellence in the sport, his inhumane talent in eating has also made the headlines. He reportedly ingests 4,000 calories of whatever in a single sitting! I can't help but think if weed had something to do with it. Catch the 2012 London Olympic Games come Friday night (27 July). The theme of the opening ceremony is "Isles of Wonder". It is directed by famed film director Danny Boyle of Trainspotting and Slumdog Millionaire. Daniel Craig is rumored to have filmed a segment for the opening ceremonies. Excited about that! Let the games begin! Big big crush on Popov! Woohoo!